Live Life to the MAX with Meditation! 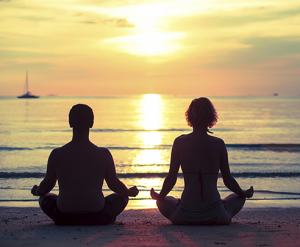 Now you can meditate deeply and easily with the MAX Meditation System™. Designed for maximum effectiveness, it uses a full spectrum of meditation techniques — deep breathing and body relaxation with passive, active and guided meditation. It blends ancient methods from India and Tibet with the modern sciences of psychology and NLP into one comprehensive mediation. This is a powerful technique for anyone, from beginners who have never meditated before to highly experienced meditators who have a regular practice. Everyone finds the MAX Meditation System™ to be easy, deep and powerful.